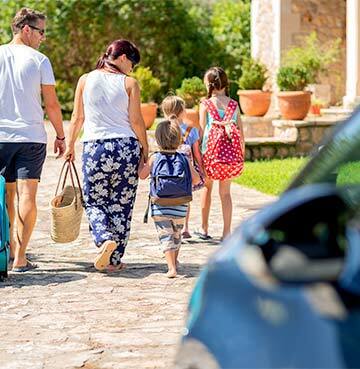 Why Rent a Holiday Villa? We might be a little biased, but there’s nothing quite like a villa holiday! 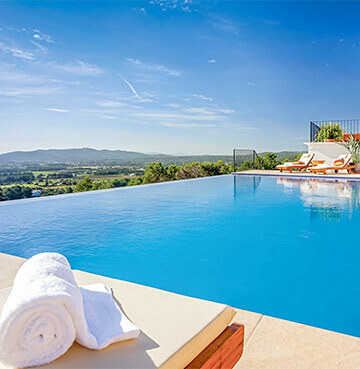 With our holiday villas to rent you get the freedom to live at your own pace, dive into a pool you won’t have to share and ultimately you’re truly spoilt for choice. We’ve gone into some of the amazing benefits of a villa holiday below, but luckily the villas speak for themselves to! So if you’re ready to take the plunge, skip straight to searching for your perfect holiday villa rental. And if not, we’re ready to share why we believe you’ll love a James villa holiday. Holidays are just so much better when you’re making all the rules – especially when it comes to your private pool. Cannonball to your heart’s content, splashing as much you like! Sit on the edge and dip your toes undisturbed, enjoying a little quiet time as you make a few ripples on the surface. And in those early morning dips, you can actually swim like nobody’s watching! There’s no limit on the number of inflatables you can bring to the pool either. So you won’t have to make that tough call between inflatable unicorn and blow up flamingo – everybody gets to come along. Nobody wants to see a sad unicorn, especially when you’re packing for your holiday! You decide the pool opening hours too, so you can swim as early or late as you like. And when you get peckish, there’s no worries about losing your sunlounger as you grab a bite to eat. There’s no dish worth risking that perfect spot in the sun for! But with your sunloungers always reserved, that’s a dilemma you won’t be facing. Sharing your pool is a thing of the past when you rent a holiday villa. But be warned, once you’ve jumped into that all-to-yourself pool you won’t want to go back to sharing. Couples getaways, large group celebrations and those in between Big Holidays – there’s a villa for every group. If it’s just you and your special someone, you’ll want your own space, seclusion and somewhere to enjoy each other’s company! 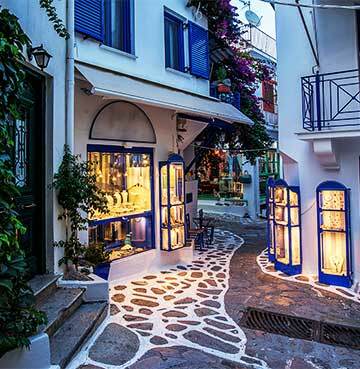 How about a romantic hideaway off the beaten track? With your villa’s kitchen on hand, why not put in a cheeky request for breakfast in bed? Or maybe it’s better to simply enjoy a morning coffee, sipping together by the pool - we don’t want to cause any holiday dramas. Sleeping up to 20, our villas are just the ticket for large groups. When you’re heading away with lots of loved ones, it’s all about creating those treasured memories together. Whether that’s grilling up a feast on your barbecue, with everyone pitching in or splashing around in your villa’s pool. It might be as simple as sitting together and watching the sunset – these are priceless moments. A villa holiday gives you the space and privacy you need to create these, with your friends and family all under one roof. And if you are in one of those in between groups, you get the best of both worlds! 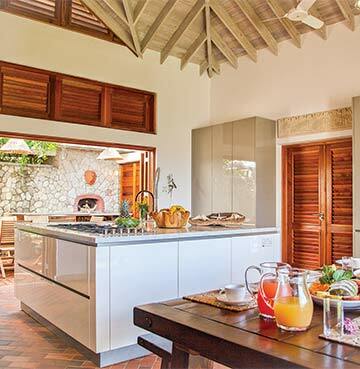 Then there's those stand out features, the villa facilities that really add the 'wow' factor! Feeling a little tense? Slip into a Hot Tub, melt those troubles away in a sauna – we've got villas tailor-made for unwinding! Does sitting still for that long sound like your worst nightmare? There's plenty more ways to work up a sweat! From villas with gym facilities to those with their very own tennis courts, it's time to burn some of that extra energy. Or maybe we can meet in the middle? Pool tables, table tennis and darts are less intense ways of keeping yourself amused. Although that doesn't mean you can't bring your competitive edge. You make the rules, after all. If you’re itching to get to the sand from the moment you wake up, our villas by the beach will feel like heaven! You could be strolling to the beach in a matter of minutes. You might just love the hustle and bustle of local life? Take it all in your stride from the moment you step outside, with our villas in the heart of the action. Buzzing markets, lively towns and chatty locals – it could all be at your door. 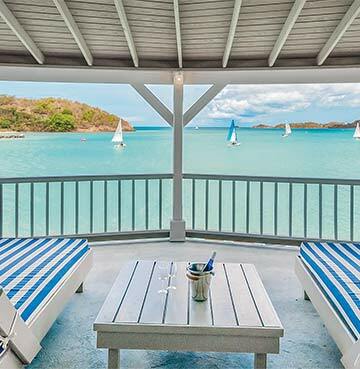 If you’re craving some peace and quiet, it’s time to find a private and secluded retreat. Nestled away from the rest of the world, just sit back and drink in the tranquillity. And who doesn’t like a great view!? Sea scenery, rolling countryside, towering mountains – you could be enjoying it all in your home from home. It’s one of the most exciting holiday decisions – where will we be going this time? Which holiday destination can tempt us to its shores? A world of possibilities awaits! This is where that tingle of excitement begins, blossoming into a full blown buzz for one country or region in particular. The world is your oyster, so you’ll want plenty of choice. Take your pick from 50 amazing destinations and over 2900 villas with a James villa holiday! You could be exploring an exotic island, diving headfirst into a cultural melting pot or simply strolling along brilliantly white sand. Where we’re going, we definitely need roads! It doesn’t have the same ring to it as that famous film quote, but what would a holiday be without a little (or a lot of) exploration? Grab your keys and get ready for a road trip! Your villa is your base to uncover your new surroundings, heading to amazing natural beauties, historic sights and so much more. With the freedom to come and go as you please, stay out a little longer, drive a little further! Your villa is there waiting for you at all hours and you don’t have to worry about last calls for dinner or creeping down the corridors. A villa holiday truly gives you the freedom to explore.